voiceBitz is the meeting place of creative voices. It is where creative voices can go to the bit-Zed universe to tell the never-ending story about an extra-ordinary family trying to live an ordinary life. It is the story of the Zolo Zuperman’s! 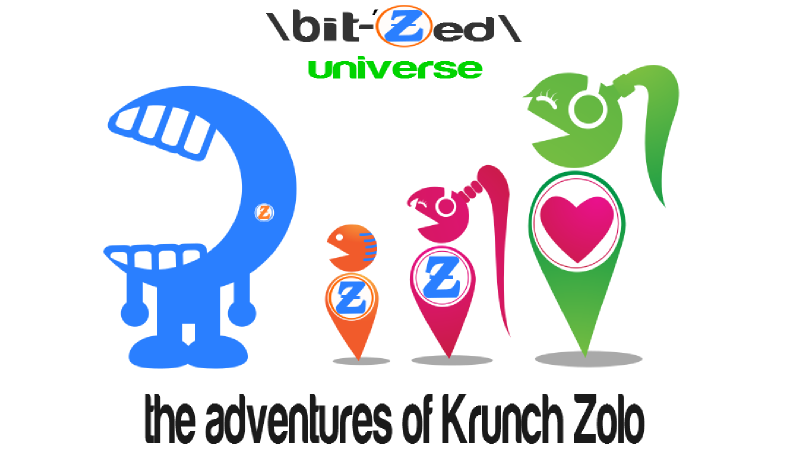 The Adventures of Krunch Zolo is a story that is weaved and told with the voices, thoughts, sounds, ideas, humor, emotion, and creativity of all the kids in the bit-Zed Universe! The way it works is that voiceBitz makes activities for all kids to join in and participate, we then moderate the activities and story content. And finally, we decide what will be added and published to the never-ending story of the Zolo Zuperman’s. Follow us! Watch and listen to the Zolo Zuperman’s story unfold.